My body of work as a writer, from my dissertation in 2000 to now, is to recover Rites of Passage for all ages. In a progression of my own growth, book one came out of my doctoral research; Gifts from the Elders: Girls Path to Womanhood. I recently published two more books, a year apart. The first is a journey manual for women, Soul Stories: Nine Passages of Initiation (2015). It serves women well to discover the feeling of Passage ceremonies, to process old grief from the lack of ceremonies, and this teaches the form of Rites of Passage from the anthropologist Van Gannep, updated for our times. This guidebook, for Elders who never received a single ceremony in their lives, uses deep spiritual diving to celebrate initiated women, baby Elders, and Elders who use and understand Rites of Passage ceremonies from the marrow of their bones. 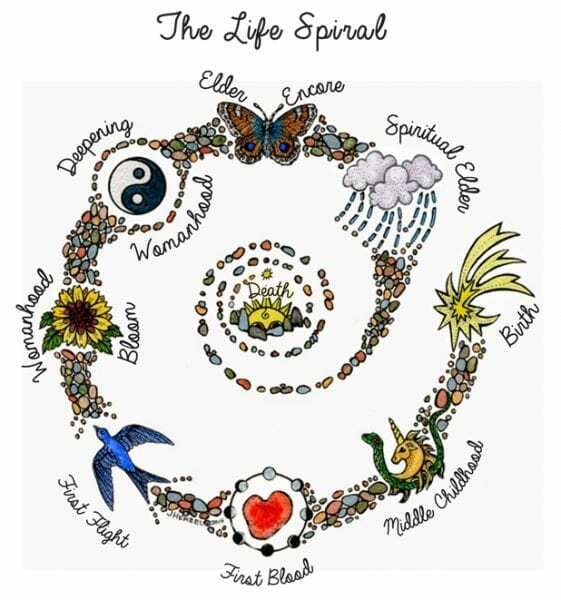 The journey to recover all of our missed passages to now, overlays the Life Spiral onto a four-seasons mandala, beginning on an Equinox or a Solstice. My newest book is Nine Passages for Women and Girls: Ceremonies and Stories of Transformation. It is meant to inspire, I wrote with my Mentor’s voice this manual for Mothers and Grandmothers who wish to enrich their whole Village with Rites of Passage ceremonies. I am pleased to join YouthPassageways as an Elder who has performed ceremonies all around the Life Spiral. Each of the ceremonies Over the past 15 years has been for individuals or spontaneously formed small groups. I have followed where the muse had led; I feel sad that I have not yet worked with men or boys, but I can only do what I do. Thank you for this opportunity to introduce myself and my story line.